Thermogenex - Fuel the Burn | Thanks For The Donation! 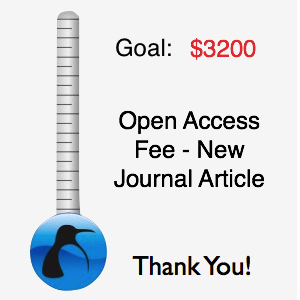 As I promised, this community has made it possible to make a real scientific contribution. I will let you know as soon as the paper is available for download. It’s been a rewarding experience over the years and the questions just fuel new areas of exploration – keep them coming. 3 Responses to Thanks For The Donation! I just want to say how enlightening your blog posts have been to me. Even though I’m not “overweight” (by anecdotal, untrained observers, including myself and by BMI (Bad Mass Inaccuracy) H-175cm (5’9″, Weight 73kg 160lbs, skinny-fat), I’m still fascinated by your research and your impending and inevitable contribution to the world. I’m 43, university educated (Pharmacology) and have been mildly interested in nutrition all my adult-life, but since my Dad had a heart attack at 54,10 years ago and family members having health & weight issues my curiosity blossomed. Having a sketchy memory of biochemistry and physiology but a strong sense of skepticism I too embarked on a highly-diluted armchair crusade to try to understand how all this diet, fitness and exercise worked. Reading, albeit third hand accounts, from blogs, web-sites some sports nutrition journals and following the work of Michael Mosley (BBC http://thefastdiet.co.uk/ ) et al. I felt myself getting more frustrated, confused & disillusioned whilst reaching for my handful of almonds,( salted) and washing it down with my ice cream shake! Rewind to 2013, I participated in Crowd funding Penn Jillette’s movie ‘Director’s Cut’. I’ve always been a fan of his work and I follow his pod-casts and Penn’s Sunday School. Fast-track to 2 months ago and my family and I were cashing in on our reward of meeting Penn, seeing the Penn & Teller show and a night at the Rio. A really sweaty big deal for me. I’ll cut all the fawning sycophancy and anxiety etc that came with this event, but during the meet and greet with Penn he was in the middle of his pre-show meal. Well, in my naive state it looked like an aisle of a greengrocers store. I mean, a big salad, vegetable soup and Three corn on the cobs, three really? Wow. He looked great on it, we didn’t talk about this but Emily quizzed me on my weight. This together with snippets from the Sunday School got me to your TED 2010 lecture. I was aware of Tim Ferriss from his learn Japanese and Total Immersion swimming and Wim Hof again through armchair research. Then I listened to your MattandMattingly podcast. Bingo! Now, we get to 2 days ago and I’m only half way through your blogs. but already wow: a revelation. This is what we need. Scientific investigation to the workings of our body from the whole point of view. Not just “what does the body do if I give it X grams of refined sugar and then say all carbohydrates do this in our body. We need to investigate our genes, our evolution as a species, our environment – we need to know everything about ourselves. I love where we’re going on this web site. It excites me! Not sure I can live up to all of THOSE goals, but I certainly agree with you. One part I will investigate in the book a bit is actually the opposite position – what happens when people are down in the detailed mechanistic milieu and forget about the basics? I am seeing more and more people talk about very compartmentalized portions of physiology and cellular biology and then twist it in a way that’s obviously a conflict with what we see every day in the world. When our world view disagrees with our world observation, it’s not the world that needs to change. An example is calorie. I have heard so many times, “if a calorie is correct and I cut 500 kcals/day for a week, why don’t I burn a pound of fat?” We deal with this exact issue in our new paper and I can assure you that this statement can be true AND our calorie system is working just fine. In the last 6 years, I really wanted to write a how-to manual on what I know works. It isn’t the only way, but it is a repeatable way. I know that it would be a huge seller, but I decided to do that second. There are areas that need to be challenged that have huge social and financial momentum behind them and I didn’t want to be dismissed, “because I had a diet program.” Instead I’ve assembled an academic team that is challenging conventional wisdom and me at the same time. Thanks again. Really do agree with you. I think we will get there, but probably not as a direct step. It’s more likely we’ll understand how before we understand why?